Napa Valley is synonymous with Cabernet Sauvignon. As you visit tasting rooms and social events in these ever warming days, some like to reach out to a lighter red that is as floral as the spring itself, Pinot Noir. We find it interesting to look at how wineries exhibit grapes other than the bold Merlots, Zins and Syrahs famous around here. And although Pinot does grow in Napa, it tends to come from cooler places. Through tasting pinot noir, we learn about the terroir all over the west coast as we visit the splendor of our favorite Napa Valley based wineries. After spending their professional lives in Chicago, David and Susan Sabin took one look at St. Helena and knew it was home. Visiting numerous wine growing regions and wineries around the world, they created a winery focused on world class Cabernet Sauvignon and dedicated organic farming. Named after David’s mother, Sabina, the winery was modeled after small family run Burgundian properties, and needed a Pinot Noir to compliment the outstanding Cabernet. Looking to cooler climates, they found Oregon’s Willamette Valley to source Pinot Noir. The Roserock Vineyard is located on a ridge top in the Eola-Amity Hills AVA in Oregon, and they vinify a delicate wine that can still pair with a wide range of foods. It features raspberry and rose petal on the nose, with a concentrated texture on the palate. The sweet oak complements the spice, leather, and green tea notes of the pinot, but keeps the acidity high to be food friendly. Just up the hill from Sabina Vineyards, Barnett Vineyards rests atop of the Spring Mountain AVA. This well rounded Napa Valley winery is known for limited production Merlot, Chardonnay, Sauvignon Blanc, and its highly touted Rattlesnake Cabernet. Founders and proprietors Fiona and Hal Barnett are intent on making wines of distinction that are true to the terroir, and the Pinot Noirs are no exception. They searched all over the state looking for the perfect pinot. The Savoy Vineyard in Mendocino is influenced by coastal proximity, and is foggy in the morning but warms throughout the day. The Tina Marie Vineyard is in the Russian River Valley’s sweet spot called the Green Valley, and situated on the much desired gold-ridge soil series often associated with California’s finest pinot noir. Both have well defined berry notes braced with a refreshing acidity and minerality. Finally Napa County also contains the relatively cool region called Los Carneros. 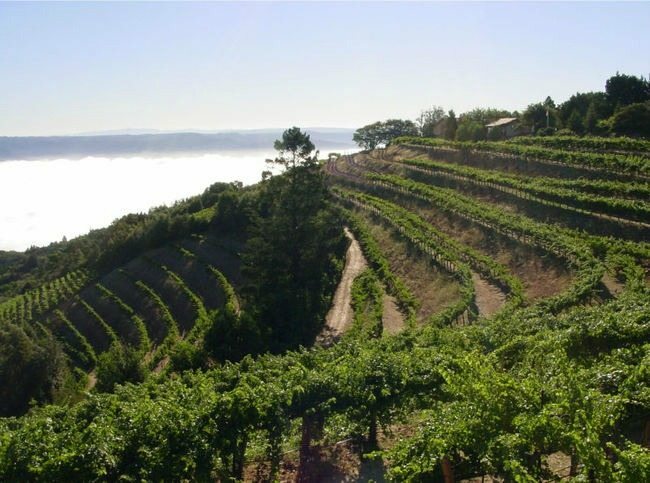 This sub AVA of the Napa Valley is associated with the cooler conditions perfect for Pinot Noir and Chardonnay, and the Hill family sources a fantastic small production pinot noir there. The Hill Family has been farming in Napa for over three decades, and the charming tasting room in the heart of Yountville features a wide portfolio of wines. The Stewart Ranch provides the pinot grapes from cool Carneros. The wine is often sold out, and is light and lovely, but grows on the nose and palate with dark roses, cherries and cedar forest floor notes. Next time you are out enjoying the highly regarded Napa Valley Cabernets, let us “Make It Happen” for you and show you more about these small businesses, and their dedication to making truly artisan wines that reflect the terroir they so carefully sought out. We found a little video about Stewart Farms in Carneros, watch below to learn more about this small local farm!